Hi, I’m Sandy Vaile, and I’m not content with a story unless there’s a courageous heroine and a dead body. When I’m not devising horrible things to do to fictional characters, I mentor new writers through the Novelist’s Circle critiquing group, judge romance writing competitions, present literary craft workshops, and write the odd articles and blog. Thanks to AusRom for inviting me over for a chat about the rumour that I’m a motorbike-riding daredevil. I can’t deny it [she says dismounting a 600cc orange and black road bike], because I’ve had an adventurous streak since I was a child. I grew up on the picturesque Fleurieu Peninsula in South Australia, and I was a Tomboy. There was a row of tall pine trees in the street behind my home, and I used to climb to the top (above the power lines), and throw pine cones at the boys in the other tree. Mum would’ve had a heart attack if she’d known. My parents encouraged me in anything I wanted to put my mind to, starting with horse riding lessons when I was seven years old. That lead to pony club, three-day-eventing (dressage, cross-country and show jumping), and eventually my own horse. When my family moved to Papua New Guinea for a few years, I learnt the language and became a water baby. There was swimming at the beach, in the pool, off the boat, and in competitions. I think it was the unconventional lifestyle and international friends during this time, which forged my self-confidence. Everyone knows the teenage years are for taking risks and pushing boundaries, but that all came to an abrupt halt when I moved out of home at sixteen. Suddenly I had bills, commitments, and precious few resources. My dream of studying journalism went out the window and I was stuck in hospitality, but I made the best of it. I worked my way up from dishwasher, to cold larder, to head chef at one of Adelaide’s leading restaurants. It was a harsh industry though, and eventually I took a leap of faith, did a short course and became an office administrator. Not all glamour, but it lead me to manage a bank of NATA documents for a testing laboratory. Even then I loved words, and I followed that quality management path to my current job, where I write procedures for high-risk industrial activities. Just before I turned thirty I had a mini life-crisis, and that’s when the dare-devil on my shoulder shoved the little angel off the other shoulder and got away with murder. Thankfully my husband is a very patient and tolerant man, so when I said, “I want to jump out of a plane at 10,000 feet,” he came with me. When I insisted on getting my motorbike license, he did too. Hot air ballooning? Not a problem. Although he did draw the line at swimming with a shark. I did it anyway (and have the skid marks to prove it – kidding!). As far as my literary career went, there were thirteen years when child rearing magazines were the extent of my reading, and corresponding with pen pals the extent of my writing. It wasn’t until a neighbour insisted I read the Harry Potter series that I rediscovered the love of immersing myself in fiction, and I knew I had to start writing again. I’d love to hear if you are adventurous or cautious. 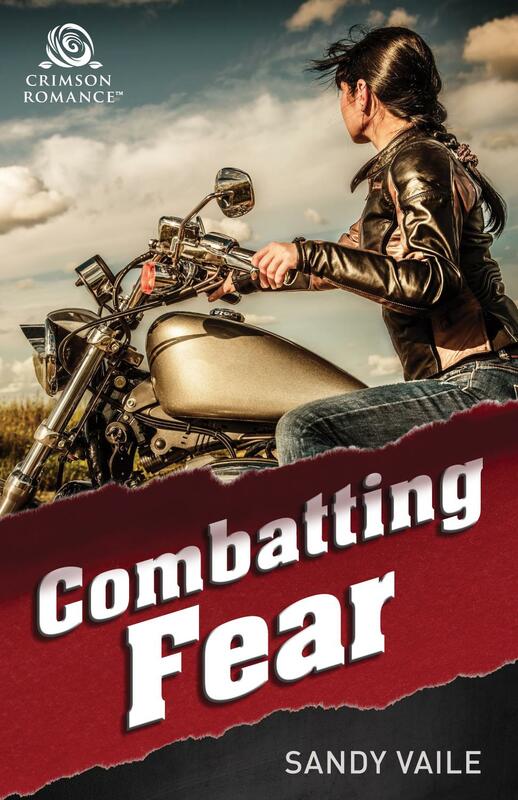 Leave a comment on this blog and get 1 entry to win the “Combatting Fear” eBook. Subscribe to my newsletter and get 3 more entries. ENTER THE DRAW TO WIN Combatting Fear! Hi everyone, It’s brilliant to have the opportunity to drop in and tell you a bit about myself. If you have any questions, don’t hesitate to ask.